Japan summer sale had started for some shopping sites. I have picked out two very sweet dresses that enjoys great bargain of 30% discount. Sheer shoulder detail on both dresses is irresistible lovely. Plenty of gathers on the skirt creating volume and the fashionable fit and flare silhouette. Cute ribbon tie at the back does the trick for the girly style. Sales items sell out real fast so Japanese fashion craze, check out fast in time to grap the goodies. 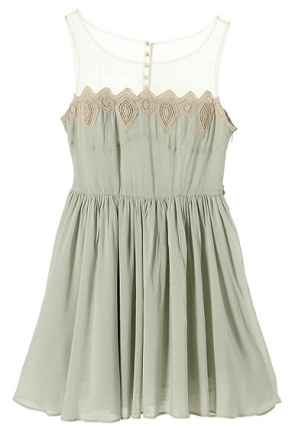 ★ Sweet fine lace dress that could be a mix between casual and elegance style depending the accessories that goes with it. 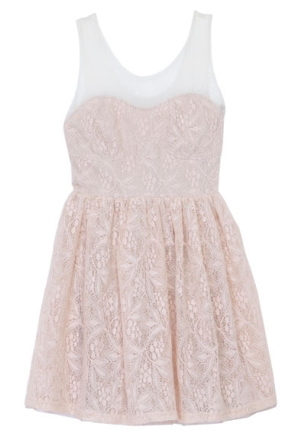 ★ Sheer shoulder tulle + diamond lace motif looks elegant and absolutely fabulous.